M & G Polymers USA, LLC v. Tackett, No. 13-1010, __S.Ct.___, 2015 WL 303218 (U.S. Jan. 26, 2015) involved a class action brought by retirees, their spouses and dependents, against M&G Polymers USA, LLC (“M&G”), asserting claims under the Labor Management Relations Act (LMRA) and the Employee Retirement Income Security Act (ERISA) arising from M&G’s alleged violation of collective-bargaining agreements (CBA) granting the retirees lifetime contribution-free health care benefits. 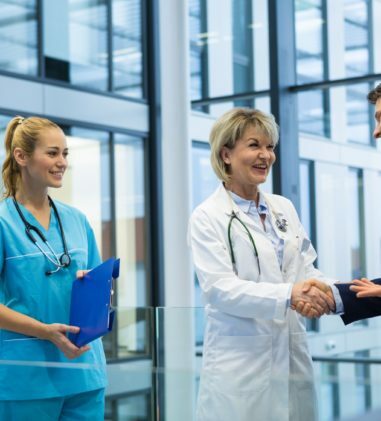 The retirees’ claimed that a promise in the agreement that they will receive a full Company contribution towards the cost of health care benefits created a vested right to such benefits that continued beyond the expiration of the agreement. The relevant language in the master collective-bargaining agreement read: “Effective January 1, 1998, and for the duration of this Agreement thereafter, the Employer will provide the following….” The 6th Circuit Court of Appeals applied the Yard-Man inferences to conclude that, in the absence of extrinsic evidence to the contrary, the provisions of the contract indicated an intent to vest retirees with lifetime benefits. The U.S. Supreme Court held that no inferences from the context of labor negotiations were to be applied in determining whether CBAs created a vested right to lifetime contribution-free health care benefits, abrogating International Union, United Auto., Aerospace, and Agr. Implement Workers of America (UAW) v. Yard-Man, Inc., 716 F.2d 1476, Policy v. Powell Pressed Steel Co., 770 F.2d 609, Noe v. PolyOne Corp., 520 F.3d 548, Cole v. ArvinMeritor, Inc., 549 F.3d 1064, and Armistead v. Vernitron Corp., 944 F.2d 1287. The Court vacated and remanded the district court’s entry of a permanent injunction requiring M&G to restore retirees’ benefits. Justice Thomas delivered the opinion for a unanimous Court. Justice Ginsburg filed a concurring opinion, in which Justices Breyer, Sotomayor, and Kagan, joined. In Yard-Man, the 6th Circuit found a provision governing retiree insurance benefits ambiguous as to the duration of those benefits and purported to apply ordinary contract law to resolve the ambiguity. 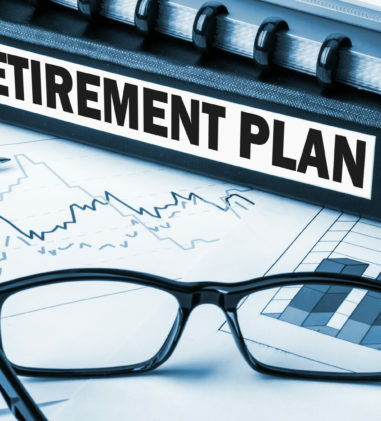 First, the court inferred from the existence of termination provisions for other benefits that the absence of a termination provision specifically addressing retiree benefits expressed an intent to vest those benefits for life. 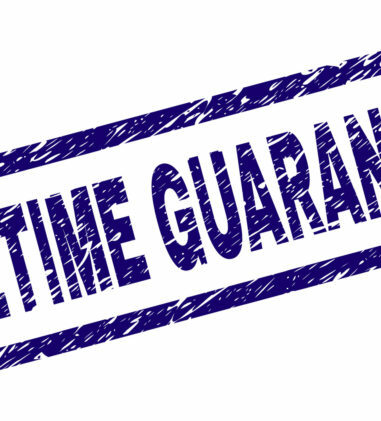 The court applied the rule that contracts should be interpreted to avoid illusory promises, reasoning that, absent vesting, the promise would be illusory for the subset of retirees who would not become eligible for those benefits before the contract expired. Finally, the court relied on “the context” of labor negotiations to resolve the ambiguity, inferring that the parties would have intended such benefits to vest for life because they are not mandatory subjects of collective bargaining; are typically understood as a form of delayed compensation, and are keyed to the acquisition of retirement status. 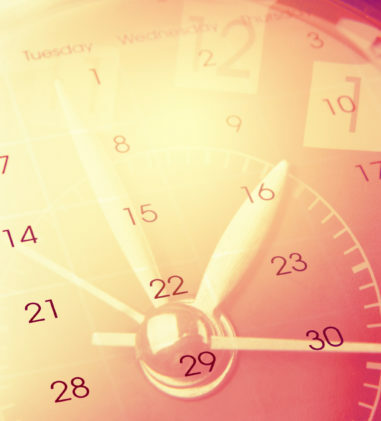 The 6th Circuit concluded that these contextual clues outweighed any contrary implications derived from a routine duration clause. The Court found that the inferences applied in Yard-Man and its progeny do not represent ordinary principles of contract law, rather, they rely on the court’s suppositions about the intentions of parties negotiating retiree benefits. Refusal to apply general durational clauses to provisions governing retiree benefits distorts an agreement’s text and conflicts with the principle that a written agreement is presumed to encompass the whole agreement of the parties. 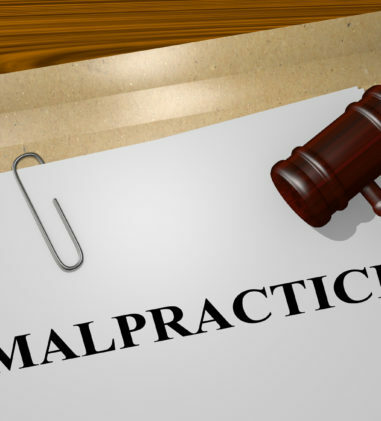 The Court also found that the 6th Circuit misapplied the illusory promises doctrine by applying it to provisions that it deemed only “partly illusory” for not benefitting all retirees. The use of this doctrine is inappropriate in the context of collective-bargaining agreements, which often include provisions inapplicable to some category of employees. Finally, the Court found that the 6th Circuit also failed to consider other traditional contract principles, including the rule that courts should not construe ambiguous writings to create lifetime promises and the rule that contractual obligations will cease, in the ordinary course, upon termination of the bargaining agreement. The Court believed that Yard-Man and its progeny affected the outcome in this case and ordered that the 6th Circuit should be the first to review the agreements under ordinary principles of contract law. 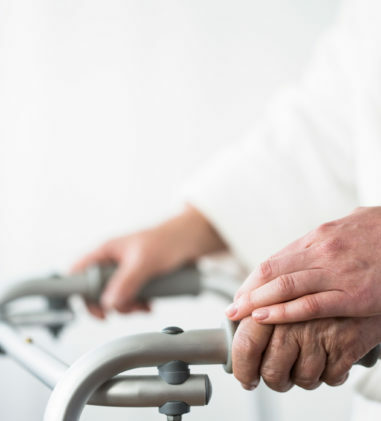 The concurring opinion instructed the 6th Circuit on remand to examine the entire agreement to determine whether the parties intended retiree health-care benefits to vest. Because the retirees have a vested, lifetime right to a monthly pension, a provision stating that retirees “will receive” health-care benefits if they are “receiving a monthly pension” is relevant to this examination. The concurrence also found relevant a “survivor benefits” clause instructing that if a retiree dies, her surviving spouse will “continue to receive [the retiree’s health-care] benefits … until death or remarriage.” If, after considering all relevant contractual language in light of industry practices, the Court of Appeals concludes that the contract is ambiguous, it may turn to extrinsic evidence. In La Santa-Andreu v. Bristol Myers Squibb Mfg. Co., No. CIV. 13-1118 ADC, __F.Supp.3d___, 2015 WL 331745 (D.P.R. Jan. 27, 2015), the court denied Plaintiffs’ motion for attorneys’ fees under ERISA Section 502(g), where the court had found that the severance plan at issue was not an ERISA covered plan and had dismissed the Plaintiffs’ ERISA breach of fiduciary duty claims as time-barred. Plaintiffs centered their arguments and briefs requesting attorneys’ fees on the proposition that attorneys’ fees are warranted because plaintiffs had to “do battle within the context of ERISA and its interpretative jurisprudence.” The court noted that there was no support for an award of fees in the scenario before this court, to wit, that Plaintiffs’ claims do not fall under ERISA and were remanded to state court as breach of contract claims. The court declined to equate a remand to a plan administrator, or even a remand to the district court, with a remand to state court because the former presupposes that an ERISA covered plan exists, while the latter confirms that ERISA is inapplicable to the plan as a matter of law. The court explained that it will not apply ERISA in part when it cannot apply ERISA as a whole, and, in any event, it lacks subject-matter jurisdiction to do so. In Chepilko v. Cigna Grp. Ins., No. 12-3229-CV, __Fed.Appx.___, 2015 WL 264635 (2d Cir. 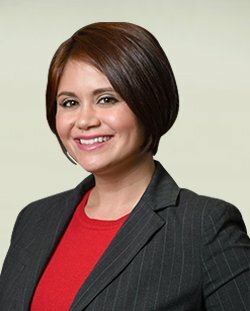 Jan. 22, 2015), a matter involving a pro se litigant who disputes a denial of long-term disability benefits, the 2nd Circuit Court of Appeals affirmed the district court’s decision finding that Plaintiff’s claim action was time barred. The court found that the Cigna insurance policy states plainly and unambiguously that “[n]o action … will be brought to recover on the policy …. unless brought within 3 years … after the time within which proof of loss is required by the policy.” Plaintiff’s “Proof of Loss Date” was June 4, 2002, but he did not file his complaint until over five years later. In Becker v. Mays-Williams, No. 13-35069, __F.3d___, 2015 WL 348872 (9th Cir. Jan. 28, 2015), the 9th Circuit Court of Appeals considered an issue of first impression: whether beneficiary forms constitute “plan documents” described in 29 U.S.C. § 1104(a)(1)(D). In this case, the decedent had previously designated his then wife as a beneficiary under two benefit programs that Xerox maintained for its employees. Following his divorce, he attempted to change his designated beneficiary to his son from an earlier marriage. Specifically, on a few occasions the decedent “telephonically undesignated” his ex-wife as his beneficiary and indicated that he wanted his son as beneficiary instead. In each instance, following the telephone conversation with Xerox, the decedent, received, but did not sign and return, beneficiary designation forms requesting that he confirm his selection of his son as beneficiary. After he died, the ex-wife and son put in competing claims for benefits. Xerox interpleaded the two parties and the district court found in favor of the ex-wife since the decedent had not completed and returned the designation forms. In reversing the grant of summary judgment to the ex-wife, the court found that nothing in the record indicates that the beneficiary designation forms themselves constituted, or were in any way incorporated into, governing plan documents. Therefore, the district court erred in determining that the decedent was required to abide by the language contained in the forms-but not in the governing plan documents-to change his beneficiary designation to his son. Because the Plan filed an interpleader action and declined to exercise any discretionary authority, the court reviewed de novo whether the ex-wife or son is entitled to plan benefits-a question answered by reference to the governing plan documents. The inquiry for the court was whether the decedent strictly or substantially complied with the governing plan documents. The court noted that such an inquiry is one of state law and one that implicates the decedent’s intentions. Nothing in the governing plan documents prevents unmarried participants from designating beneficiaries by telephone call and the Plans’ SPDs instruct unmarried participants to call the Xerox Benefits Center or to visit the Xerox website in order to change or to complete a beneficiary designation. The court found that the governing plan documents permit unmarried participants to change their beneficiary designations by telephone. The court concluded that a reasonable trier of fact could determine that the decedent intended to change his beneficiary and his phone calls to Xerox constituted substantial compliance with the governing plan documents’ requirements for changing his beneficiary designation. In Smith v. Cox Enterprises, Inc., No. 1:13-CV-00834-TCB, __F.Supp.3d___, 2015 WL 331116 (N.D. Ga. Jan. 27, 2015), the court granted summary judgment to Defendant in this matter where Plaintiff sought to recover long-term disability benefits under an employer welfare benefit plan administered by Aetna Life Insurance Company. The court applied the modified Rule 56 standard set forth in Curran v. Kemper Nat’l Servs., Inc., No. 04-14097, 2005 WL 894840, at *7 (11th Cir. 2005) (in an ERISA benefit denial case the district court sits more as an appellate tribunal than as a trial court, does not take evidence, but rather, evaluates the reasonableness of an administrative determination in light of the record compiled before the plan fiduciary) and Crume v. Metro. Life Ins. Co., 417 F.Supp.2d 1258, 1272 (M.D. Fla. 2006) (finding that a motion for summary judgment is merely the conduit to bring the legal question before the district court and the usual tests of summary judgment, such as whether a genuine dispute of material fact exist, do not apply). Applying the 11th Circuit’s six-step framework for evaluating an ERISA denial of benefits claim, the court first found that it cannot conclude that Aetna’s denial was de novo wrong. The court found that there is a lack of clinical evidence supporting Plaintiff’s claim that she is prevented from performing her job due to Meniere’s disease, migraines, vertigo, and hypoactive labyrinth. The burden in an ERISA case is on the claimant to establish her disability and her entitlement to benefits and the record reflects only one audiology report from December 2005, more than six years prior to Plaintiff’s long-term disability claim, one VNG data analysis report from March 2010, and clinical notes from both her otolaryngologist and neurologist, none of which the court found to present substantial objective evidence of long-term disability. 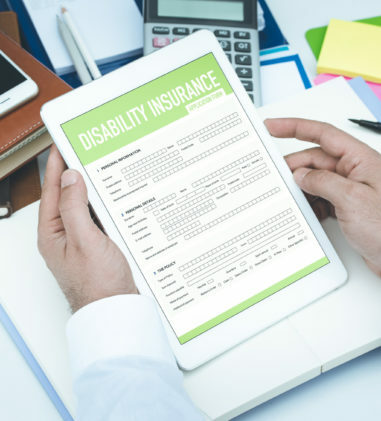 The court concluded that the preponderance of the medical records and statements from Plaintiff’s health care providers do not support the conclusion that her medical conditions are severe enough to support a finding of total disability. The court found notable that Plaintiff claims to have been symptomatic and diagnosed with Meniere’s disease in 2005, and yet she continued to successfully work full-time for the next six years. The court readily acknowledged the possibility that Plaintiff does in fact suffer from such severe conditions and that she is wholly incapable of working but without sufficient objective evidence, test results, and supporting medical opinions, the court cannot conclude that Aetna’s decision to deny Plaintiff benefits was wrong. The court found that it is clear from the record that Aetna’s denial of benefits was reasonable and a reasonable decision cannot be arbitrary and capricious. Nonetheless, the court considered each of Plaintiff’s arguments attacking the reasonableness of the decision and found them to be without merit. In Bd. of Trustees, Sheet Metal Workers’ Nat. Pension Fund v. SustainableWorks, No. 1:14-CV-1023, 2015 WL 300494 (E.D. Va. Jan. 22, 2015), the court granted default judgment for Plaintiffs in this matter seeking to enforce the terms of a collective bargaining agreement, including for unpaid contributions, interest, liquidated damages, late fees, and attorneys’ fees and costs. In support of their request for attorneys’ fees and costs, Plaintiffs submitted an attorney declaration, as well as a time sheet itemizing the time spent by various attorneys and staff. Based on these submissions, Plaintiffs seek $2,897.65 in attorneys’ fees and costs ($2,168.50 in attorneys’ fees and $729.15 in costs). The court found that the requested fees and costs are reasonable compensation for work necessarily expended to enforce Plaintiffs’ rights. Operative Plasterers & Cement Masons Local 599 Pension Fund v. Valda Plastering Co., No. 14-CV-1-WMC, 2015 WL 273216 (W.D. Wis. Jan. 21, 2015), a matter involving default judgment in a withdrawal liability action, the court awarded attorney’s fees of $2,085.00 for 13.90 hours of work, based on an hourly rate of $150, as well as $451.80 in costs, pursuant to 29 U.S.C. § 1132(g)(2). In Humes v. Elec. Workers’ Pension Trust Fund of Local Union No. 58, I.B.E.W., Detroit, Mich., No. 13-10385, 2015 WL 249330 (E.D. Mich. Jan. 20, 2015), the court granted the prevailing Plaintiff attorneys’ fees and costs. Specifically, the court granted Plaintiff’s request of $1,137.35 in costs for pursuing this action, which include the costs of filing the complaint, two depositions, mileage and postage and photocopies. With respect to fees, the court calculated the reasonable hourly rate of Plaintiff’s three attorneys and paralegal using the 2014 State Bar of Michigan Economics of Law Practice Report, at the 50th percentile, as a guide. The court explained that compensating the attorneys at this rate complies with the purpose of § 1132(g)(1) yet avoids providing a windfall to the attorneys. For the attorney who had performed the most work and who had less than a year of experience when she performed the bulk of the, the court awarded an hourly rate of $172. For the second attorney with over 35 years of experience and only a few hours in the case, the court awarded an hourly rate of $285. For the third attorney with six to ten years of experience, the court awarded an hourly rate of $236. And for the paralegal time, the court awarded an hourly rate of $90, which is what Plaintiff’s counsel charged to Plaintiff. Lastly, the court declined to exercise its discretion to award Plaintiff attorneys’ fees for preparing the fees motion or for responding to Defendant’s motion for relief from the court’s order because it found no evidence that Defendant filed its motion for relief in bad faith or any other reason to justify these fees. In Bryant v. Arizona Pipe Trades Pension Trust Fund, No. CV-13-01563-PHX-GMS, 2015 WL 300385 (D. Ariz. Jan. 22, 2015), Plaintiff alleges that Defendants improperly withheld and miscalculated his pension benefits and sought to certify two classes and one sub-class. Plaintiff is a member of the America Pipe Trades Pension Trust Fund (“Pension Plan”), a defined benefits plan, and the Arizona Pipe Trades Defined Contribution Plan (“DC Plan”) (together, the “Plans”). Pursuant to local union contracts, Plaintiff’s employers were required to make contributions to the Plans on his behalf. A Reciprocity Program permitted the transfer of reciprocal contributions to the Plans on behalf of participants working out of state. Often, the rates paid by out-of-state employers and transferred to the Plans exceeded those required to be contributed by Arizona employers. Under the terms of the Reciprocity Program and the Plans, the full value of the out-of-state contributions would be prorated between the Plans at the current contribution rates. In 2004, the Trustees of the Plans allegedly approved Amendment 1 to the Plans, retroactive to June 1, 2002, which provided that, for employees on whose behalf reciprocal contributions were made at rates higher than those required under the collective bargaining agreements, any excess over the current hourly contribution rate would be paid into the DC Plan participants’ individual accounts and they would be given credit for the full amount of excess contributions. Thus, excess contributions received by the Pension Plan on behalf of any DC Plan participant would have constituted accrued benefits for those participants in the DC plan. Plaintiff alleges that the Pension Plan failed to make contributions to the DC Plan and took no action to collect such contributions on behalf of the trust and deserving participants. A second amendment to the Plans required a participant to earn a full pension credit before any reciprocal contributions would be paid into the DC Plan. As a result, excess contributions were withheld from the DC Plan for months longer than authorized under Amendment 1, without interest. Amendment 2 amended the Plans retroactively and the parties dispute whether it did so without notice to participants. Plaintiff contends that benefits were unlawfully diminished as a result. Then, in 2008, the DC Plan was amended retroactively to adopt a mid-year valuation date of November 30, 2008 rather than a single end-of-year valuation date as was prescribed by the terms of the DC Plan. Account balances of participants for whom contributions were paid to Defendants between June 1, 2008 and November 30, 2008 were calculated using the depressed investment yield rather than the year-end, positive investment income adjustment, and participants’ received reciprocal contributions were never credited with the investment gains received during that time frame. After analyzing the relevant factors, the court granted in part and denied in part Plaintiff’s Motion for Class Certification and certified the following classes under Federal Rule of Civil Procedure 23. Class 1: All DC plan participants who had accrued benefits on or after June 1, 2002 and their eligible spouses and beneficiaries. (Counts I, II, III). The court appointed Plaintiff as the Class Representative and the law firm of Martin & Bonnert P .L.L.C. as Class Counsel. In Green v. Baltimore City Bd. of Sch. Comm’rs, No. CIV.A. WMN-14-3132, 2015 WL 302812 (D. Md. Jan. 22, 2015), the court granted Plaintiffs’ Motion for Summary Judgment on their claims for violating their right to COBRA notice under 29 U.S.C. § 1166 and breach of fiduciary duty under 29 U.S.C. § 1104. The court found that Plaintiffs suffered a qualifying event on the dates of their suspension, triggering Defendant’s obligations under COBRA, and that all invoices and bills issued by Defendant to Plaintiffs after the qualifying event are null and void. At the time of their suspension notice, Plaintiffs were neither made aware that their insurance coverage would be continued automatically nor were they informed that such continuation would mean that they would be obligated to pay both the employer and employee shares of the insurance premiums. The court found that Plaintiffs’ knowledge of these facts regarding coverage are so essential that making an informed decision regarding coverage without those facts would be difficult if not impossible. The invitation in the suspension letter to “contact the Office of Benefits Management to discuss the options available” fails to inform Plaintiffs that the terms and conditions of coverage were to change and did not satisfy Defendant’s notification obligations under COBRA. In Gallego v. Wells Fargo & Company Long Term Disability Plan, No. 13-CV-04518-VC, 2015 WL 349111 (N.D. Cal. Jan. 23, 2015), the court granted summary judgment to Defendants on the issue as to whether the disability plan permits an offset of workers’ compensation weekly permanent partial disability (“PPD”) payments. The court rejected Plaintiff’s arguments that his PPD payments were not “Other Income Benefits” within the meaning of the Plan. Plaintiff argued that “Other Income Benefits” are limited to benefits paid to compensate for lost income, and that his PPD benefits were instead paid to compensate him for the impairment he suffered as a result of his medical problems. Second, he argued that his PPD benefits were not a periodic benefit. The court found that the Plan does not limit “Other Income Benefits” to only those benefits that compensate for loss of income. The Plan expressly provides that all periodic workers’ compensation payments are counted as “Other Income Benefits,” without regard to whether those payments are benefits for loss of income. The court found that even if the Plan did limit “Other Income Benefits” in such a fashion, Plaintiff’s PPD benefits were paid in part to compensate for lost income in the form of loss of future earning capacity. Because worker’s compensation PPD benefits are calculated in terms of a claimant’s entitlement to a certain number of weeks of payment, the court found that they fall within the definition of a periodic benefit. In Swanson v. Unum Life Ins. Co. of Am., No. 13-CV-4107-JAR, 2015 WL 339313 (D. Kan. Jan. 26, 2015), the court upheld Unum’s decision to deny Plaintiff’s claim for long-term disability benefits. The court found that it was reasonable for Unum to consider Plaintiff’s history of full-time work where she claimed that she “fought through” the pain in order to maintain her full-time schedule since the Fifth Circuit has found that a claimant’s decision to work for years despite her pain “permits the inference that she was able to perform the material and substantial duties of her job while experiencing the level of neck and back pain she experienced” prior to the date she stopped working. As such, Unum was reasonable to consider the degree to which Plaintiff’s symptoms worsened prior to switching to a part-time schedule. The court found a “complete dearth of objective evidence” in the record supporting Plaintiff’s asserted occupational limitations and concluded that the record supplied a “reasoned basis” for Defendant’s benefits determination. In Barta v. CenturyLink, No. 13-CV-03030-RM-KLM, 2015 WL 310155 (D. Colo. Jan. 22, 2015), the court denied Plaintiff’s motion to strike a declaration submitted by Defendant in opposition to Plaintiff’s motion seeking judgment on her denial-of-benefits claim. The court explained that Plaintiff’s Opening Brief called into question Defendant’s production of vocational data. The declaration offers an explanation of the vocational data, which pertains directly to the procedural issue raised by Plaintiff. The court found that the declaration addresses a purported procedural irregularity raised by Plaintiff and does not pertain to Plaintiff’s eligibility for benefits. Allowing the declaration may enable the court to understand and evaluate the decision under review. In Law v. Aetna Life Ins. Co., No. 2:13-CV-2267-JHH, 2015 WL 260833 (N.D. Ala. Jan. 21, 2015), the court found that Aetna’s decision to deny long-term disability benefits due to a pre-existing condition exclusion in the Plan was not an abuse of discretion. The Plan defines pre-existing condition as “an illness, injury or pregnancy-related condition for which, during the 12 months before … coverage … became effective” one of the following three things have occurred: (1) claimant was diagnosed or treated for the condition; (2) claimant received diagnostic or treatment services for the condition; or (3) claimant took drugs that were prescribed or recommended by a physician for the condition. Further, the Plan states that it “does not pay benefits for a disability that is caused, or contributed to, by a pre-existing condition, if the disability starts within the first 24 months after your coverage goes into effect.” Plaintiff’s disability occurred within the first 24 months of coverage. The court found that during the 12-month look-back period the evidence in the administrative record is “crystal clear” that Plaintiff’s disabling condition was caused by, or was contributed to, by a pre-existing condition under the terms of the Plan. Plaintiff claims to be disabled due to back pain from degenerative spinal problems, diagnosed as spondylosis. In the relevant medical records, Plaintiff’s doctor repeatedly notes a long history of back pain, Plaintiff underwent a posterior lumbar interbody fusion after an earlier lumbar MRI noted “moderate L4-5 stenosis and possible spondylosis,” and Plaintiff was prescribed various pain medications. From these medical records, the court found that it is clear that Plaintiff was diagnosed and treated for chronic back pain and “lumbar derangements,” received diagnostic and treatment services for the condition, and was prescribed pain medication for back pain and back spasms during the look-back period. Each of those, separately and in combination, qualified under the Plan to exclude Plaintiff’s disabling condition. In Williams v. FedEx Corporate Servs., No. 2:13-CV-37 TS, 2015 WL 248570 (D. Utah Jan. 20, 2015), the court granted Defendant Aetna Life Insurance Company’s (“Aetna”) Motion to Dismiss Plaintiff’s Breach of Fiduciary Duty Claim for Lack of Subject Matter Jurisdiction and Motion for Partial Judgment on the Pleadings for Failure to State a Claim of Breach of Fiduciary Duty, where Plaintiff filed two ERISA claims against Defendant: a claim for wrongful withholding of short-term disability benefits under 29 U.S.C. § 1132(a)(1)(B) and a claim for breach of fiduciary duty under 29 U.S.C. § 1132(a)(3) seeking injunctive relief. The injunctive relief Plaintiff sought was an order requiring Aetna to inform FedEx that Plaintiff did not have a substance abuse problem, that Aetna was incorrect in making any such statements to FedEx, and that such statements should not be relied upon to require that Plaintiff participate in any type of drug testing or rehabilitation. The court found that Plaintiff lacked Article III standing since he did not allege the type of injury to support the court’s jurisdiction. The court allowed Plaintiff to amend his Complaint and instructed him to allege how he has an actual interest in his personnel records and how he is injured by FedEx’s maintenance of those records. 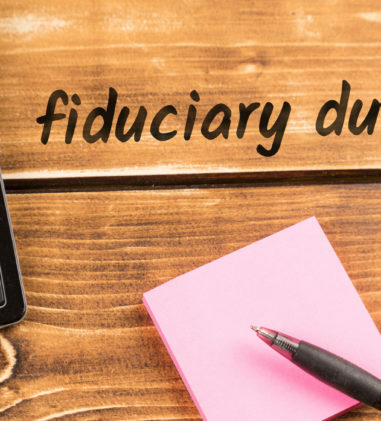 With respect to the breach of fiduciary duty claim, the court noted that Plaintiff seeks an equitable remedy in addition to the award of disability benefits. The court found that if it determines that Plaintiff was wrongfully denied his disability benefits and that his illness was not related to drug or alcohol abuse, his personnel record at FedEx would contain erroneous and damaging information. Having determined previously that this would be an actual and imminent injury, equitable relief, in addition to his awarded benefits, would be appropriate to make Plaintiff entirely whole. However, because Plaintiff did not sufficiently allege the harm necessary to support simultaneous § 1132(a)(1)(B) and § 1132(a)(3) claims, the court granted Defendant’s motion, but without prejudice for Plaintiff to amend his Complaint to allege such an injury. In Johnson v. Liberty Life Assur. Co. of Boston, No. 2:13CV916-WHA, 2015 WL 248944 (M.D. Ala. Jan. 20, 2015), a matter involving a termination of long-term disability benefits, the court granted summary judgment in favor of Liberty Life on the basis that Plaintiff failed to exhaust administrative remedies. The court rejected Plaintiff’s argument that exhaustion would have been futile and that he was denied meaningful access to the administrative procedures in place. Specifically, the court found that the claim denial letter informed Plaintiff of how to proceed with an administrative review of his claim. With respect to the Watts exception – a rule that if a plan claimant reasonably interprets a summary plan description as permitting him to file a lawsuit without exhausting administrative remedies, his lawsuit is not barred if he fails to exhaust administrative remedies – the court found it inapplicable to Plaintiff’s claim. The court also granted summary judgment to Liberty Life on the alternative basis that the benefits decision was not an abuse of discretion, where Liberty Life had determined that Plaintiff voluntarily retired even though his employer continued to make available to him a light duty position at the same pay, and his doctor had stated that he was able to perform a light duty position on a full-time basis. In Cmty. Hosp. of the Monterey Peninsula v. Blue Cross of California, No. 14-CV-04552-LHK, 2015 WL 332746 (N.D. Cal. Jan. 26, 2015), a matter involving a suit by a medical provider against an insurer for unpaid hospital expenses, the court found that the state law cause of action is not completely preempted under Davila’s two-pronged test, since at a minimum, the second prong -where there is no other independent legal duty that is implicated by a defendant’s actions -is not met. The court found that Plaintiff’s claims do not rely on, and are independent of, any duty under an ERISA plan since the claims depend on interpretations of state law, and do not in any way require the interpretation of an ERISA plan administered by Defendants. Because the court has no basis to exercise subject matter jurisdiction over this action, it remanded the case to state court. For purposes of title I of the Act and this chapter, the terms “employee welfare benefit plan” and “welfare plan” shall not include a group or group-type insurance program offered by an insurer to employees or members of an employee organization, under which (1) No contributions are made by an employer or employee organization; (2) Participation the program is completely voluntary for employees or members; (3) The sole functions of the employer or employee organization with respect to the program are, without endorsing the program, to permit the insurer to publicize the program to employees or members, to collect premiums through payroll deductions or dues checkoffs and to remit them to the insurer; and (4) The employer or employee organization receives no consideration in the form of cash or otherwise in connection with the program, other than reasonable compensation, excluding any profit, for administrative services actually rendered in connection with payroll deductions or checkoffs. 29 C.F.R. § 25210.3-1(j). Although NEAUC remitted the premiums, it deducted them from the salaries of the insured employees. Construing the facts and the language in the light most favorable to Plaintiff, the court found that summary judgment is inappropriate on the basis of the very first safe harbor requirement. Further, under the first, third, and fourth safe harbor requirements, Provident’s application of a “12% premium discount” does not place the plan outside the safe harbor definition. Although some courts have determined that a premium discount constitutes a contribution because it is a benefit an employee cannot receive as an individual, the court found that this construction is contrary to the text of the regulation and would swallow the third and fourth safe harbor requirements. In Humes v. Elec. Workers’ Pension Trust Fund of Local Union No. 58, I.B.E.W., Detroit, Mich., No. 13-10385, 2015 WL 249330 (E.D. Mich. Jan. 20, 2015), the court denied Defendant’s motion for relief from the court’s previous order in favor of Plaintiff in his claim seeking pension credit for work he claimed to have performed for French Electric in 1985. The court found that it did not commit a mistake of law in holding that Defendant operated under a conflict of interest, because although some courts have held that multi-employer plans cannot have a conflict of interest, this position is not uniform. Moreover, even if the court did commit a mistake of law, such mistake does not qualify as a substantive mistake of law so as to merit relief under Rule 60(b)(1) because the conflict of interest did not drive the court’s holding that Defendant abused its discretion in denying Plaintiff’s appeal. Instead, the court’s holding centered on the actions of the Plan Administrator in summarizing some of the evidence to the Board, while failing to account for Plaintiff’s contrary evidence. Further, the court had explained that the conflict of interest factor alone was not determinative. In Schwartz v. Opportunity Int’l, Inc., No. 14-CV-5775, 2015 WL 300591 (N.D. Ill. Jan. 21, 2015), Plaintiff alleged, among other claims, that a separation agreement and vacation and sick day benefit plans are governed by ERISA and that Defendants intended to interfere with her benefits under those plans by terminating her employment. An ERISA-governed welfare plan requires five elements: (1) a plan, fund or program, (2) established or maintained, (3) by an employer or by an employee organization, or by both, (4) for the purpose of providing medical, surgical, hospital care, sickness, accident, disability, death, unemployment or vacation benefits, apprenticeship or other training programs, day care centers, scholarship funds, prepaid legal services or severance benefits, (5) to participants or their beneficiaries. The court found that Plaintiff has not sufficiently alleged that there was a welfare plan established or maintained by Defendants for the purpose of sick days and vacation benefits. Plaintiff merely alleged a legal conclusion that “the Separation Agreement and vacation and sick day benefit plans” are governed by ERISA. 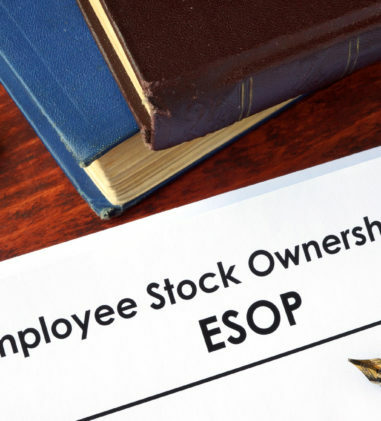 Further, a severance plan falls under ERISA’s coverage when the plan requires an ongoing administrative program to meet the employer’s obligation. 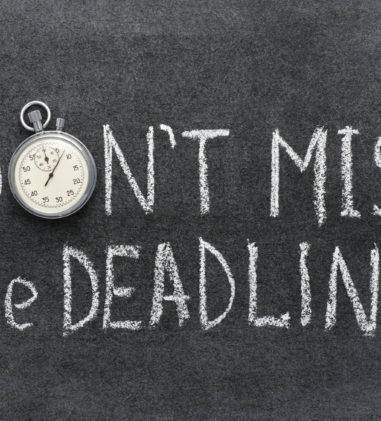 Severance packages do not fall under ERISA when the only determination for receiving severance is whether a participant was fired with or without cause, as that does not require multiple decisions and does not require decisions to be made on an ongoing basis. Here, the only determination of whether Plaintiff would receive a severance benefit was if she was terminated without cause. Plaintiff did not allege that this severance plan required an ongoing administrative program or multiple decisions on an ongoing basis. Accordingly, the court dismissed this claim without prejudice. In Newman v. Metro. Life Ins. Co., No. 12-CV-10078, 2015 WL 275703 (D. Mass. Jan. 21, 2015), Plaintiff brought this action against twenty defendants under ERISA and the whistleblower provisions of the Sarbanes-Oxley Act of 2002 (“SOX”), 18 U.S.C. § 1514A. The Lehman Brothers Holdings Inc. Group Benefits Plan (“the Plan”), the Neuberger Berman Defendants and Individual Defendants Amato, Coviello, Fox, Komaroff, Rado and Uvino (collectively, the “LBHI Defendants”) moved to dismiss the claims against them in Plaintiff’s second amended complaint pursuant to Fed.R.Civ.P. 12(b)(2) for lack of personal jurisdiction; 12(b)(5) for insufficient service of process; and Fed.R.Civ.P. 12(b)(6) for failure to state a claim. MetLife joined the motion as to Count III for equitable relief. Plaintiff had obtained leave from the Court to file an amended complaint specifically “limited to those ERISA claims against the Plan [ ] and a SOX claim against the remaining LBHI Defendants.” The court struck the addition of Count III for equitable relief for being beyond the scope of the court’s grant of leave to amend. The court had already concluded that Plaintiff may press her ERISA claim against the Plan and Metlife but Plaintiff appeared to assert the ERISA claim in the SAC against the individual Defendants. The court struck the ERISA claim as to the individual Defendants, granted the motion, and allowed the case to proceed only as to Plaintiff’s ERISA claim against MetLife and the Plan. Horneff v. PSEG Nuclear, LLC, No. CIV. 13-975 RBK/KMW, 2015 WL 263128 (D.N.J. Jan. 21, 2015) arose out of Plaintiff’s termination from employment some eight months prior to the partial vesting of his pension benefits. Plaintiff alleged he was fired from his job in retaliation for Plaintiff’s participation in an internal investigation and because Defendants wanted to save money and a younger workforce. Defendant contended that there was an actual and legitimate reason to terminate Plaintiff-his failure to report allegations of sexual harassment in the workplace, which he had a duty to report. In evaluating Plaintiff’s claim under ERISA Section 510, the court found that the circumstantial evidence is far too vague to support a finding that Defendants terminated Plaintiff’s employment in order to interfere with Plaintiff’s his ERISA-protected benefits. The only evidence cited by Plaintiff in support of his position demonstrates that he was terminated eight months before his Pension Plan benefits would have partially vested, and some nineteen months before they would have fully vested. The court found that this temporal proximity is not itself unusually suggestive, and Plaintiff failed to provide any other evidence tending to show Defendants’ specific intent. Additionally, there is no evidence of how much money Defendants stood to save by terminating Plaintiff before his benefits either partially or fully vested and Plaintiff did not show that those who made the decision to terminate his employment knew that he was in the Pension Plan. The Court found that Plaintiff failed to state a prima facie case under Section 510, but even if he had, he entirely failed to overcome Defendants’ asserted legitimate, non-discriminatory reason for his termination. In Gilman v. Marsh & McLennan Companies, Inc., No. 10-CV-8158 JPO, 2015 WL 321827 (S.D.N.Y. Jan. 26, 2015), Plaintiffs were terminated following the New York Attorney General’s (“NYAG”) investigation of Marsh’s contingent commission practices on the suspicion that they violated antitrust laws, securities laws, and other New York business. The NYAG ultimately filed a civil complaint against Marsh, which was eventually dismissed. Shortly after the filing of the complaint, Marsh suspended Plaintiffs with pay. They were fired after refusing to participate in interviews with Marsh’s attorneys and NYAG. Shortly after being fired, Plaintiffs were criminally indicted in New York Supreme Court and were acquitted of all charges except one. That conviction was subsequently vacated. The parties vigorously disputed whether Marsh fired Plaintiffs “for cause” or fired them merely to appease the NYAG. The court found that even if Marsh did fire them solely for the purpose of appeasing the NYAG, they would not be entitled to severance pay under the Severance Plan because they do not meet the requirements of subsection (i): they were not terminated as part of a downsizing, restructuring, or the closing of a facility; they were not determined to lack the skills to do their jobs; and their positions were not eliminated. In Wernimont v. Prudential Ins. Co. of Am., No. 1:13-CV-937, 2015 WL 328603 (W.D. Mich. Jan. 26, 2015), the court denied Defendant’s motion seeking to dismiss Plaintiff’s long-term disability claim on the basis that it is time-barred by the contractual limitations period. The “Legal Action” provision states that no action shall be brought “more than three years after the end of the time within which proof of loss is required.” However, the court found that “the time within which proof of loss is required” is, at best, ambiguous, as applied to the facts in this case. “Proof of Loss” indicates that two time limits must “both” be met, to wit: the time limit governing the “initial proof of loss” and the time governing “proof for each later month of continuing loss.” Here, where Plaintiff’s loss is “continuing” and where Plaintiff has purportedly not yet reached the “last month” of his loss, the provision is unclear as to when the time limit ends. The “Proof of Loss” provision requires that “both” the initial proof of loss and continuing proof of loss be furnished to trigger the “end of the time within which proof of loss is required” referenced in the “Legal Action” provision. The court found Plaintiff’s interpretation of the contractual provisions, which would require proof of loss initially and subsequently for continuing losses, to be a fair reading. Because the court held that Defendant has not demonstrated that Plaintiff’s action was filed outside the limitations period provided for by the policy, it found it unnecessary to determine whether the interests of justice require equitable tolling of the limitations period. In Int’l Union of Painters & Allied Trades Dist. Council 711 Health & Welfare, & Vacation Fund, & Finishing Trades Inst. v. Petric & Associates, Inc., No. CIV.A. 13-1947 SDW, 2015 WL 273653 (D.N.J. Jan. 22, 2015), an action pursuant to Section 502 of ERISA and Section 301 of LMRA, Plaintiffs filed a six-count Third Amended Complaint against Petric, Conti, and Travelers Casualty and Surety Company, which issued a contract bond and served as surety to the bond on behalf of Conti. Plaintiffs allege that Petric failed to remit fringe benefit contributions in violation of 29 U.S.C. § 1145. Plaintiffs contend that as Principal to the Construction Contract, and pursuant to the Contract Bond, Conti is jointly and severally liable to pay the delinquent fringe benefit contributions. Plaintiffs claim that Conti breached a verbal agreement with the Union, of which Plaintiffs were third-party beneficiaries. The Complaint further alleges that Travelers, as surety on the Contract Bond, is jointly and severally liable for payment of the delinquent contributions. As part of Petric’s Answer to Plaintiff’s Complaint, Petric filed a ten-count cross-complaint alleging nine breach-of-contract claims against Conti relating to the Subcontract Agreement between Petric and Conti, and alleging one claim for recovery under the Contract Bond against Travelers. In turn, Conti filed a two-count cross-complaint against Petric asserting breach of contract and a claim for indemnity, also pursuant to the Subcontract between Petric and Conti. Plaintiffs filed a motion to strike or dismiss Defendants’ crossclaims on the grounds that 1) these claims do not arise from the same transactions underlying Plaintiffs’ suit; 2) the unrelated claims are complex and only serve to complicate the adjudication of Plaintiffs’ relatively discrete ERISA claims. The court granted Plaintiffs’ motion, finding that: (1) the proofs that would be required to support Petric’s contentions at trial differ in nature and volume from the proofs that would be required to litigate Plaintiffs’ claims so that the crossclaims do not meet the “logical relationship” test; (2) Petric’s crossclaims would drastically complicate the adjudication of Plaintiff’s comparatively straightforward ERISA claim and could potentially confuse the factfinder at trial; (3) Conti’s alleged breach of an ancillary contract does not provide a legally cognizable defense to an action brought under ERISA to collect delinquent trust fund contributions; and (4) public policy favors simplified trust fund collection litigation and Petric’s tangentially related crossclaims contravene this statutory goal. In Operative Plasterers & Cement Masons Local 599 Pension Fund v. Valda Plastering Co., No. 14-CV-1-WMC, 2015 WL 273216 (W.D. Wis. Jan. 21, 2015), Defendant withdrew from the plan, failed to pay its withdrawal liability as assessed by the pension fund, and failed to make timely payments as required to avoid additional penalties in the form of liquidated damages. Defendant initial answered the complaint but then withdrew its answer and did not contest Plaintiffs’ motion for default judgment. The court awarded a total of $272,366.40 in damages, together with interest at the rate allowed by law. The award includes a principal withdrawal liability of $224,858.00, plus liquidated damages of $44,971.60 (20% of the principal).